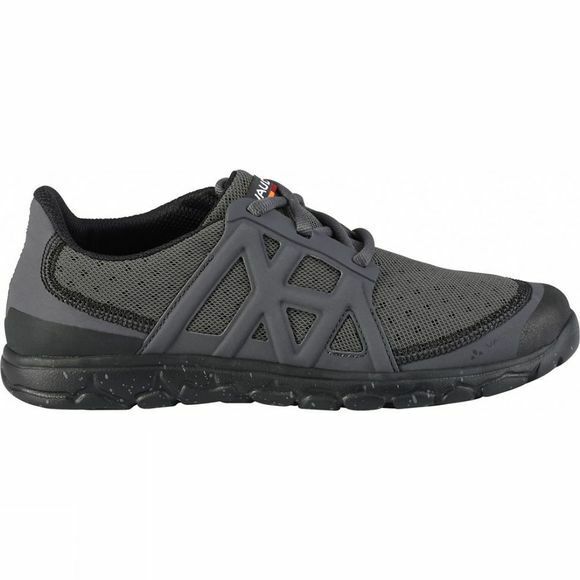 Carefree travel: these very lightweight and highly breathable leisure shoes are perfect for traveling and are a convenient second pair for trekking and longer bike trips. They can be packed down small and fit in any suitcase, trekking pack or pannier. Almost as liberating as going barefoot, but with more support in the midfoot area and with comfortable shock-absorbing outsole. To minimise the ecological footprint, the Mens TVL Easy Shoe is made from eco-friendly materials: the comfortable inner sole from Ortholite is made of environment-friendly Eco Plush PU foam and 50% recycled polyester. The mid layer of the upper material is made of recycled foam, the laces are from bluesign certified polyester.